Emerson Process Management announces the release of the next generation of fork viscosity meters designed to deliver accuracy and fast response in viscosity and density monitoring applications. Emerson’s direct insertion Micro Motion fork viscosity meter follows up on the market-leading Micro Motion 7827 and 7829 direct insertion viscosity and density meters, incorporating the same rugged and reliable tuning fork design as its predecessors, and built to tackle demanding process applications such as oil fired heater combustion control, HFO blending/production and pump protection. The direct insertion Micro Motion fork viscosity meter helps solve challenges faced by customers on a daily basis, such as reducing oil fired heater combustion emissions, minimising cutter-stock usage in HFO blending and reducing contamination risks on multi-product pipelines. 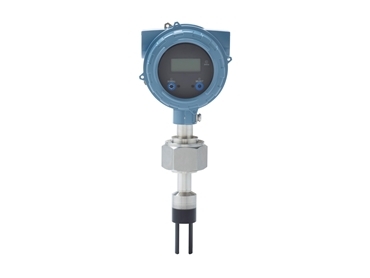 Key features of the new fork viscosity meter include a hazardous area approved head-mounted transmitter with the flexibility to connect to control systems via a wide range of digital and analogue protocols; support for 4-20mA, HART, WirelessHART, Foundation fieldbus and RS485 Modbus to significantly reduce system integration and start-up/commissioning costs; and the capability of accepting and processing external signals from other field instrumentation such as temperature, pressure and mass/volumetric flow devices. The input of these external measurements enables the fork viscosity meter to calculate and output enhanced process measurements while minimising installation and cabling costs. A new diagnostic capability called Known Density Verification in the Micro Motion fork viscosity meter checks the meter for measurement alarm conditions, sensor integrity and the presence of coating, erosion or corrosion, expanding the availability of diagnostics information in critical viscosity and density measurement applications, which can otherwise result in significant maintenance costs and cycle time reductions.